The Brooklyn Cyclones represent one of the feats of the modern minor league baseball era in sports marketing. Not only did the franchise establish itself in one of the relics of a bygone time in Coney Island, but it created a stadium landmark that became an anchor tenant in a revitalization of a formerly notorious area for urban decay. 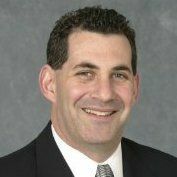 Cyclones VP Steven Cohen discusses how the team shot right out of the gates with full stands and happy crowds, establishing itself for over 16 years as one of ... See More the perennial success stories of the New York-Penn League. Cohen talks about the image of Coney Island, and how the Cyclones have managed to continue to build more of a family-friendly atmosphere, eliminating some of the stereotypes that used to plague that area during the 1970s to 1990s.